For all of you Frostgrave completists out there, issue 6 of Table Top Gaming Magazine includes an exclusive Frostgrave scenario (written by yours truly) called 'The Failed Breed'. It is a two-player scenario, set down in the breeding pits and includes a new monster, the barbed-thrasher. 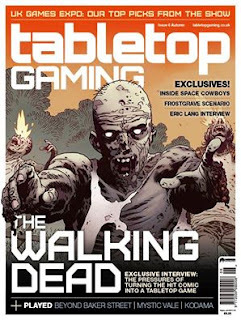 The last time I included a scenario in TTG Magazine the issue sold out very quickly (I'm not saying that was the reason, but I won't argue against it either...), so if you want one, it is probably best not to wait around. I think the magazine goes on sale in a couple of days. Alternatively, you can order a copy direct from their website. Electronic editions are also available. 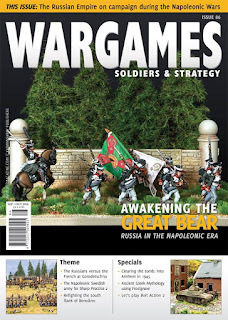 Also now available is issue 86 of Wargames: Soldiers and Strategy, which includes 'The Warriors of Athena', my little solo wargame of Greek Mythology which uses the Frostgrave core system. It's just a coincidence that both of these articles are coming out at the same time as I wrote them months apart. I hope people enjoy them! It has now been just under a month and a half since I set myself the 50 Banana Challenge, and I am disappointed to announce that I have only managed to eat 14 bananas. Partly this is a result of baby chaos, but mostly it comes from the difficulty in keeping bananas in stock in the house. I turns out that my wife and daughter really like bananas so they just keep disappearing! Despite this, the experiment is already yielding results. I really had to choke down the first two bananas; the texture was just so disagreeable to me, but after about the third, this just kind of went away. It's not the greatest food texture in the world, but it ain't that bad. I'm still not a huge fan of the flavour, but I don't hate it. So, I suspect the remaining 36 will fall soon enough. I have also discovered two other important things. 1) Bananas are really cheap. I mean really cheap. I'm sure this won't come as news to most people, but I just never realised how inexpensive bananas were compared to most other (admittedly tastier) fruit. 2) Bananas are great for filling up an empty stomach. After my 8.5 mile cycle to work, I'm often ravenously hungry, and I haven't found anything else this side of a bacon sandwich that satisfies that hunger like a banana. 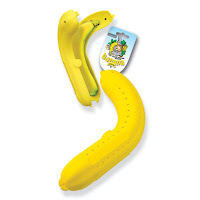 Finally, for those that are considering making more of bananas in their own lives, I have to recommend banana armour. My wife bought this silly looking thing many years ago. It really is great for keeping your banana safe on the move. The last thing I want when I get to work is a battered and bruised banana - this sucker really does keep them safe. Also, in the years my wife has been using it, she has found a grand total of 1 banana that didn't fit in it. Recommended! Over the last year, Frostgrave has received a lot of accolades, won several awards, and generally been considered ‘a hit’ in wargaming terms. As the author, I have received the lion’s share of the credit, but, in truth, there are a huge number of people that have been involved in this success. Today, I wanted to thank a few people who I believe have played a role in making the game popular despite having no financial stake in its success nor any personal connection to me. 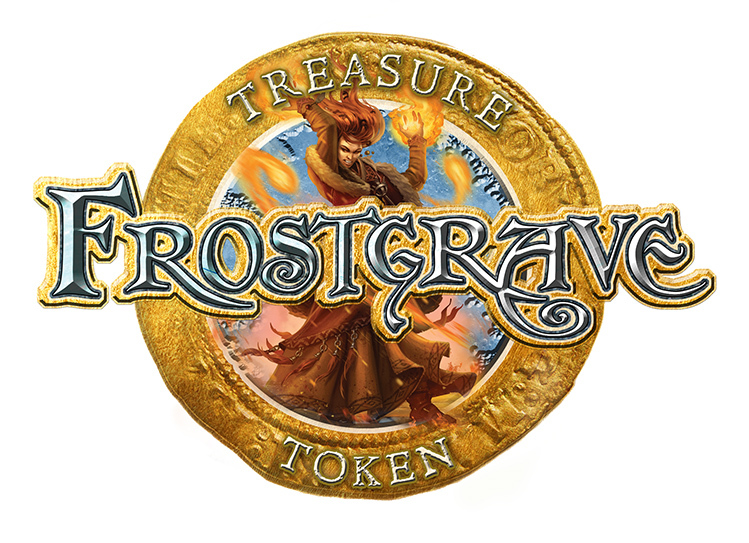 In recognition of their work, I want to present these people with a ‘Frostgrave Treasure Token’! This is really nothing more than the little image seen here, but I hope it will be received in the spirit it is given. All of these people have presented Frostgrave in videos, on a blog, or on a forum with an infectious enthusiasm that has certainly spread interest in the game. If wargaming ever goes mainstream and ESPN decides it needs a regular wargaming television show, I have little doubt that they will hire Ash to host it. His enthusiasm for the hobby seems to pour out of the screen in a way that makes me want to get on a plane and fly to Canada just so I can roll a few dice at his gamer co-op! Owen and Ash operate out of the same studio and often appear in one another’s videos. In contrast to Ash’s boundless enthusiasm, Owen is a more deadpan, tell-it-like-it-is presenter. He clearly has a knack for rules, and will happily use the rules to his advantage, but doesn’t let power-gaming spoil a good time. Owen was also nice enough to come say hi at Adepticon last year! When I first started work on Frostgrave, I never really imagined the kind of tables people would produce to play the game. I just thought of the game in my own, rather simple, terrain terms. Then along came Harry. Harry produce the first Frostgrave table I had seen that caused my jaw to drop. His long thread on the Lead Adventure Forum is an inspiration for anyone who wants to make a great looking gaming table. To my mind, it is still one of the best looking Frostgrave set-ups I have seen. There is nothing particularly flashy about Tim’s blog or his gaming tables; however, he has consistently presented Frostgrave in such a wonderful spirit that I always love when he talks about the game. I love how he takes the game and tailors it to those who are playing. I love that he uses the game to bring his family together. It was always my hope that people would use the rules as a starting point for their own creativity, and I think Tim has been one of the best examples of that philosophy. Before John set up the Frostgrave Facebook Group, I hadn’t given much thought to the role social media would play in the success of the game. Today, I would say that his Facebook group is the single most important connection point for Frostgrave players around the world. Over the last year, John has watched over the group as it has grown to more than 5,200 members and helped make it a fun, safe, enthusiastic place to come, talk about Frostgrave, and see some of the cool work being done by other gamers. Many thanks to these five! 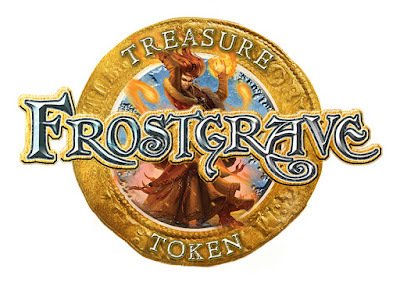 I hope they will digitally wear their Frostgrave Treasure Token with pride! I want to offer a sincere ‘thank you’ to everyone who voted for Frostgrave for the ENnie awards. Although it is getting to be a bit of old news, Frostgrave took silver in the ‘Best Miniature Product’ category! The announcement came the day after the birth of my son, so it got a little over-shadowed in my household, but I am still thrilled that the game has once again been recognized. The award actually came with a medal, and not a cheap plastic thing either. This medal is a serious chunk of metal! It’s got great heft! Inspired by the Olympics (which have really helped me get through some bleary, sleep deprived days), my two-year-old daughter has taken to wearing the medal, running around the living room and declaring herself ‘the winner’. Once again, thanks to everyone who took the time to vote. It has been another high point in a very full year! 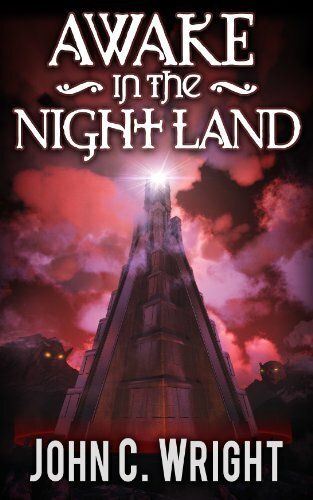 The Night Land by William Hope Hodgson is one of the most imaginative, original, frustrating, and difficult-to-read novels that I have ever managed to finish. It is a fantasy (science-fiction?) book like no other, or at least the first half of it is. The second half is a long, drawn-out, not very good pulp story. I am really glad I read the book, but was a bit gladder when I finished it. 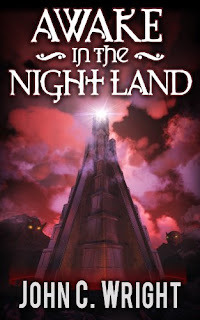 A couple of years ago, my father bought me an ebook called Awake in the Night Land by John C. Wright. Unexpected, not only because I didn’t specifically remember talking with him about the first one (although I almost certainly did), but also because I had never read an ebook before. In fact, the only device I had, other than my PC, that could display an ebook was my Ipod. So, I put it on my Ipod, and didn’t really pay much attention to it. Then, my first child was born. All of a sudden, I often found myself awake in the middle of the night, in a dark and quite house, gently rocking in a chair, trying to stay awake. I soon discovered that an Ipod, which could be held in one hand and glowed in the dark, was a great way to read in such situations. Thus, I dropped once more into the Night Land. John C. Wright’s book is a wonderful follow-on from the original. While obviously it doesn’t have the creativity of the original, it has the good sense to focus on the elements of the setting that are the most unique and interesting, and uses those to tell fascinating stories. However, like William Hope Hodgon’s book, this one is also long, extremely slow in places, often obscure, and filled with big words, some of which are made up, some of which are not, and some of which I’m not sure about. Essentially, if you liked the original book, you will almost certainly like this one. You might even like it more. If you didn’t like the original, well, scratch this one off your list. By the time I had finished the first three or four stories, my daughter was older and sleeping well, and my night time reading dropped to zero. I moved backed to books printed on paper. However, with the recent birth of my son, the Ipod has come back out and I have just finished Awake in the Night Land, some two years after I started. It is the first ebook I have ever read! It was the last night of the Oxford Softball season. Having missed the previous three games due to a pregnant wife/new baby, I was glad to have the chance to take the field one more time. The game was a battle for last place in the division, or, more accurately, to stay out of last place, and to end the season on a high note. My Knights were the home team, so we took the field first. I was back in my familiar role as pitcher, and things got off to a good start. The first batter popped one up in foul territory between home and third, and I was able to glove it a dead run for the first out. The next two batters also went quietly. The Knights scored three in the bottom of the first. I hit a nice liner out to left centre, but their fielder ran it down. After that, we traded runs in the next few innings. I added a few more nice fielding plays, catching two soft liners, and running over to first to take a throw from the first baseman in order to make an out. (This is a very common baseball play, but very uncommon at our level of softball. It was a first for me this season). My batting continued to go poorly. My second plate appearance ended with a fly directly at the right fielder, and the third with a weak tapper back to the pitcher. As we came to bat in the sixth inning (in a seven inning game), we were up by three runs. I led off the inning and sent a shot towards the gap in right field. The fielder managed to cut it off, but not before I had stretched it into a double. Two batters later, I came around to score. We added two more in the inning. So with a six run lead, I took the mound for the last time, and had one of the strangest innings I’ve had as a pitcher. The first batter drove the ball right at my feet. I got a glove on it, but couldn’t hold on to it. I scampered after it, scooped it up, and managed to throw it straight over my first baseman... Annoyed with myself, I went back to pitching. The next batter sent a screamer right at my face. I got my glove up just in time to save my nose, but again couldn’t hold on. For the second time in a minute, I was running after a ball that was rolling away from me. This time, I grabbed it and threw a strike to the shortstop to get the running from first. One down, one on, back to pitching. A couple of pitches later, and the third batter in a row sent one straight at me. This time, I snatched the ball out of the air and threw a strike to my first baseman, catching the runner off first: double play. The first double play I’ve been a part of all season. And just like that, the game was over. Probably for the best as I was apparently wearing a target on my chest. After the game, I discovered that the opposing team had named me MVP (a purely fielding award). It was my first MVP this season, partly because pitchers rarely win, but mostly because there are usually better players on the field! It was a great way to end the season. It wasn’t a great year for the Knights in the standings, although we did avoid last place, but it was a great one for me having fun! Devoted readers may remember a few months ago, when I posted this little teaser about a side project I was working on. 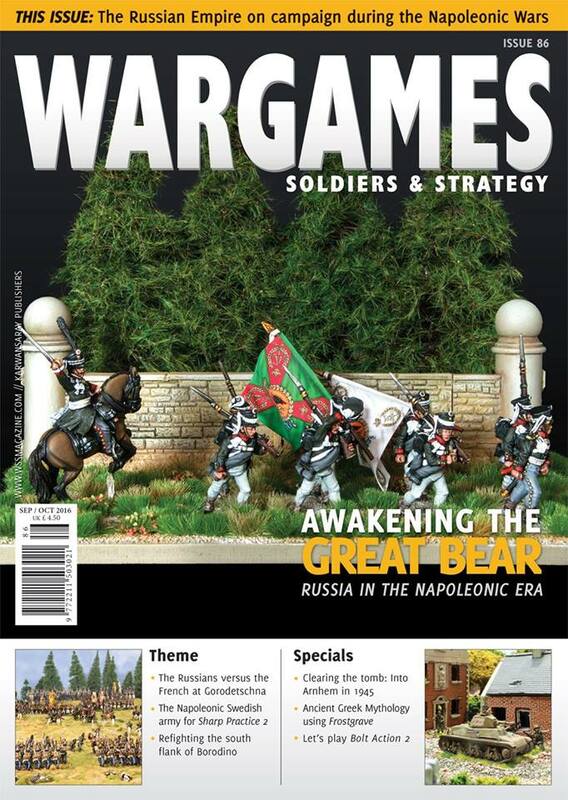 Well, I have just received confirmation that it is soon going to appear in print in the next issue of Wargames: Soldiers & Strategy. The Warriors of Athena is a solo wargame set in the world of Greek Mythology (or at least Hollywood-style Greek Myth). The player starts by creating his ‘Hero’. This begins with a roll on the parentage table to see if the hero is the son or daughter of a god or king. The player then gets to choose the stats and special abilities that define his hero. Finally, the hero must recruit a warband of other warriors to help him on his quest; this can include a few fantastic warriors such as centaurs and satyrs. The basic rules are based on Frostgrave, and players will need a copy of the book, or at least a decent understanding of the rules, in order to play The Warriors of Athena. After the creating a hero and building a warband sections, there are two linked scenarios to set your hero out on his journey through Mythic Greece. First the hero must rescue some prisoners from a band of pirates and then sail to a barren island and confront a deadly gorgon! If the hero survives, there are rules for experience and improvement. At this point, The Warriors of Athena is just one article, but I am hopeful that if the feedback is good I will expand the game with new rules and scenarios in future issues. So, if you like it, make sure to let Wargames Soldiers & Strategy know! You can pre-order the issue here. A PDF of the issues is usually made available for purchase after publication. I am in the middle of one of those strange periods of life where time seem to flow at a different rate. 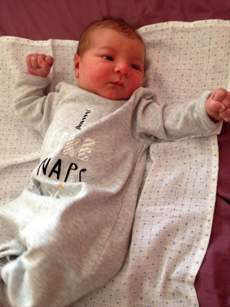 My son, James, was born a week ago, and since then the days have been filled with nappies, laundry, and vain attempts to keep the house clean. Sleep has become a rare and precious commodity to be seized whenever it can be found. The combination of sleep deprivation and lots of mindless tasks can take the brain in strange directions. For whatever reason, I have been thinking a lot about my personal happiness. Obviously, watching my family grow has been a major source of happiness (although, in truth, I think the true benefit of a family is to be found in the increase in ‘joy’ which is not exactly the same thing). With personal free time set to become increasingly scarce, it is going to be important that I use what time I do have on things that make me happy. So, in a spare moment, I quickly jotted down the activities that bring me the most happiness: reading, writing, cycling, painting, exploring, wealth building. There are others, of course, but these are the big ones. Having determined this, I thought it might be beneficial to set myself some goals. These goals aren’t there to provide pressure on my life. I’m putting no particular time limit on them (though I suspect they will take about two years), and there is no reward for success or failure. They are just there as reminders, gentle nudges to keep me doing the things I love, instead of getting distracted by other little projects that take time but give little happiness. So here are my goals. It’s a pretty mighty list for a man with two small children and a full-time job, but since everything I accomplish from the list is its own reward, it’s not overly daunting! The easiest two to accomplish will probably be the reading and the cycling. I can’t stop myself from reading. I take a book everywhere and if ever the least bit of boredom starts to creep in, I pull it out. I can’t really imagine life without reading. A lot of the cycling will be achieved through my commute to work. I do hope to make some more interesting journeys as well, but any time spent on the bike is good time. The writing number is pretty massive, but a lot of that will be taking up with Frostgrave material that has already been commissioned. Add in this blog and a few other projects, and I think it will come tumbling down pretty fast. Painting miniatures may prove the hardest. Although I love it, it is the hardest to get myself to do. Since I have no permanent painting station, every session involves set-up and clean-up time, meaning I have to have a good chunk of time to devote to it to make it worthwhile. Still, if I can get on a roll, it will happen. Exploring is an interesting one. I have often thought I’m a bit like Bilbo Baggins. I love my home comforts, my books, my comfy chair...but I’m also drawn by the lure of adventure, by a constant wondering of what is just over yonder hill. It is a strange compulsion that has led me to immigrate to the UK, and one that is always gnawing at me. I find huge satisfaction from seeing new places, I just have a bit of trouble motivating myself to do it. So, this goal is about going to new places. This can be as simple as the next village over if I’ve never been there, or a whole new country. The key though is that I have to have time to explore it. At least half a day of wandering and taking it in. Finally, money. My personal relationship to money has changed greatly over the last couple of years. I’ve never been hugely motivated to accumulate money, because I was never much interested in most of the things that it could buy. It wasn’t until the last couple of years that I began to realize that money can actually buy time. That is money can free me from working and give me more time to – well, to accomplish all of the other things on this list of goals! So, I’ve got two financial goals. One to increase my investments, and the other to decrease my debt. Essentially these are the same thing – a general increase in wealth, but it is more fun to attempt them separately. Those numbers may look big to some people, and they are, but I’ve got a few things on my side. About a year and a half ago, my wife and I changed our lifestyle so that we could survive on one salary so that she could stay home with the kid(s). We had more or less achieved this when Frostgrave launched. Although Frostgrave doesn’t come close to replacing her lost salary, it did give us a good boost to the income. Having already accepted we would live on one salary, this money became ‘extra’, and has mostly gone to saving towards eventual financial independence. Also, a bit of good news for us mortgage holders; interest rates have just dropped by a quarter of a point. Since my mortgage rate tracks the prime lending rate, it also dropped a quarter point. It doesn’t sound like much, but when you are talking 'house cost numbers' it makes a difference. Mainly though, after my success with the Debt War, I’ve come to realize that wealth accumulation is partly a state of mind. In order to build wealth, you first have to believe it is possible. After you do that, it is just a matter of figuring out how to do it. I actually think, for most people, that first step is harder than the second. So, seven goals in an attempt at greater personal happiness. We’ll see how I get on, and if it has the desired effect. After this blog, I’ve only got 99,000 words left to write! The Lord of the Rings – For me, Middle-Earth is where the hobby started and where I still find the most pleasure, especially in painting. Most of the unpainted miniatures I own are Games Workshop LOTR figures (stockpiled when it looked like they were going to cancel the range). That said, I won’t limit my collection to just GW figures. 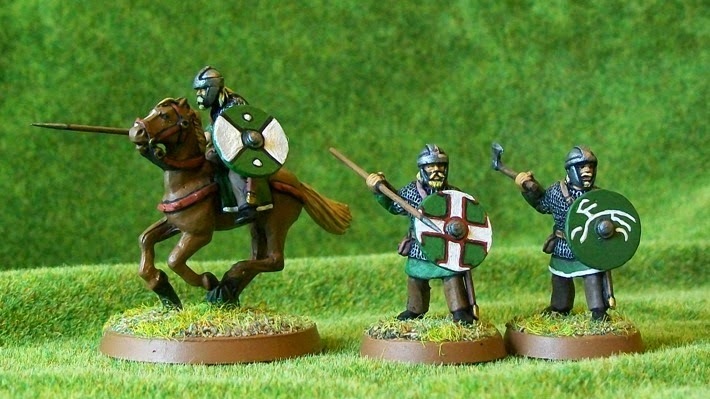 Any figure that fits into my particular vision of Middle-Earth qualifies, such as the Footsore Miniatures I’m using for my Rohan forces, or some of the great monsters available from Reaper. I suspect, in the coming year, at least half of my painting will be The Lord of the Rings figures. Greek Myth – Every since I was young, I’ve loved Greek Myth, and it has always been a minor part of my miniatures hobby. Thankfully, it’s a genre that doesn’t need many figures. I’ve got a nice little collection already, and I’m happy to slowly add to it when the mood takes me. Warhammer 40,000 – I don’t actually play Warhammer 40K. As a game, I think the rules have long been overtaken by more modern systems. However, I have collected a large Demon Hunter’s Army, which I use as my go-to science-fiction forces. It’s already a pretty large collection, so I don’t think I’ll be adding much to it, just a figure here and there that strikes my fancy. I’ll likely spend more time working on bad-guys for them to fight, such as the genestealer cult forces from Deathwatch: Overkill. Battletech/OGRE – Basically, 6mm science-fiction. I don’t actually have a very large collection of 6mm science-fiction figures, however, I have long been drawn to both Battletech (great setting) and OGRE (great game). Thankfully, a lot of figures for these two games are interchangeable and usable with a lot of other systems as well. I honestly don’t know how much time I will spend on this area, but I’m keeping the possibility open. Silent Death – My all time favourite space fighter game. One of these days I’m going to get around to painting the figures, but who knows when that will be. And that is basically it. I’m not going to rule out painting an individual figure here and there just for fun, but I’m going to actively try to avoid buying multiple figures for any other period or genre (a lot of Will Power rolls in my future). Hopefully, with these limitations in place, I can make those 30 to 40 miniatures I do paint really count! It is perhaps worth noting that the above period limitations are only about buying miniatures. I’ll perfectly happily pick up new rules sets. Many of these, hopefully, will be usable with the figures I already have, but also, I think it is important as a game designer to keep up with current trends in miniature gaming and to use other people’s good ideas to help fuel my own. * This does not include time spent writing or working on Frostgrave as this is classified as ‘work’. Although my figure painting has slowed down to a crawl these last few weeks, I have managed to finish up this warrior of Rohan. Like most of the figures in my slowly growing Rohan army, he is from Footsore Miniatures. I can’t speak highly enough about these miniatures. The sculpting and casting are both so sharp that they are a real joy to paint. Even simple paint jobs look great on these figures. The biggest challenge to painting this figure was the shield. I once again put my free-hand painting to the test in an effort to paint a horse head. While it does make this particular warrior look like he might be a fan of the Denver Broncos, I am generally happy with how it came out. Okay, it’s a little bit blobby, but when he’s ranked up in a shield wall with a bunch of his fellows, I think it will look pretty good.